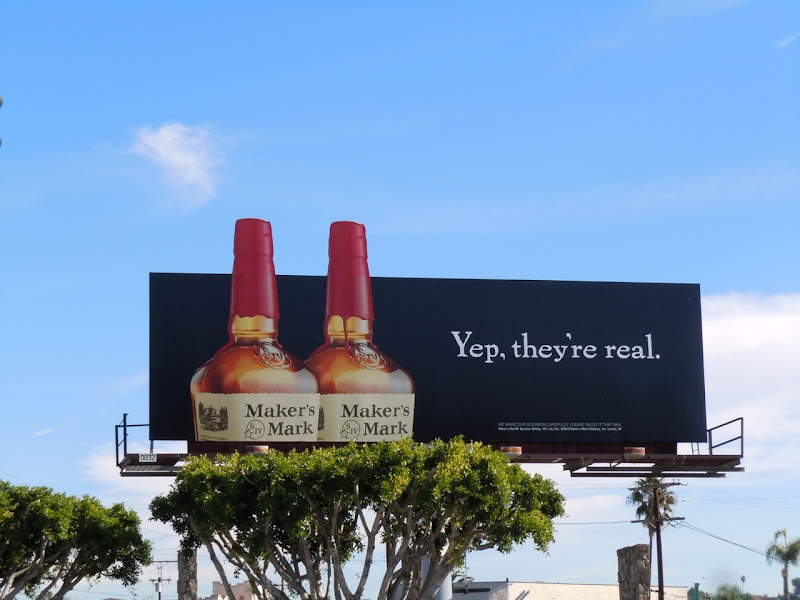 Christmas is the time to be jolly and I'm sure a bottle of Maker's Mark could help get you in the festive spirit. Don't you just love the latest innuendo riddled creative from the Bourbon Whisky brand. 'Yep, they're real', indeed. This fun billboard which made me smile was snapped at Vermont Avenue and Hollywood Boulevard in L.A. on December 8, 2010. 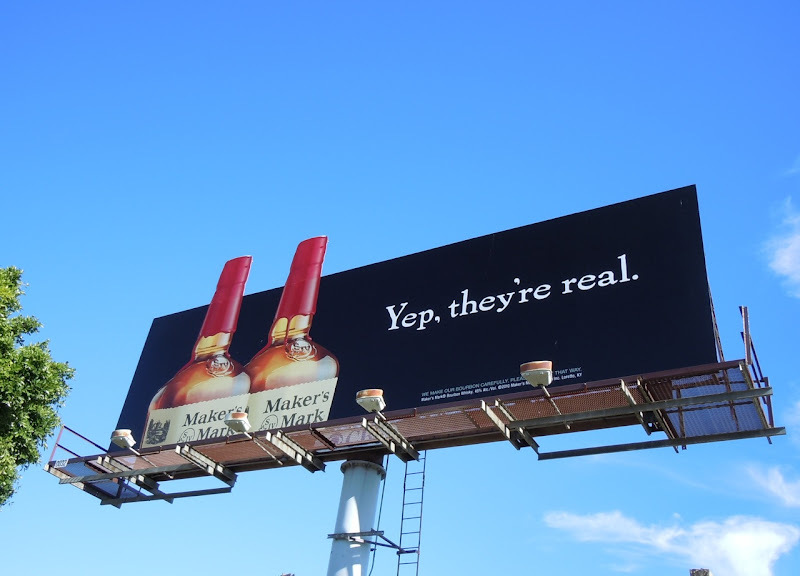 Be sure to check out the other Maker's Mark witty billboards here at Daily Billboard.